This Haron Internal Bending Spring for 1/2" Copper Pipe will assist in bending pipe by reducing the risk of pipe crush and unwanted deformity. The long lasting spring steel spring slips into the centre of the pipe to provide support. Simple to use and durable, an internal bending spring is a necessity when bending pipe. 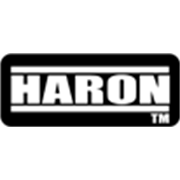 Haron Internal Bending Spring 1/2"